id you ever wonder what to do with that large, or very large, black box in your room? You will love this decorating idea. 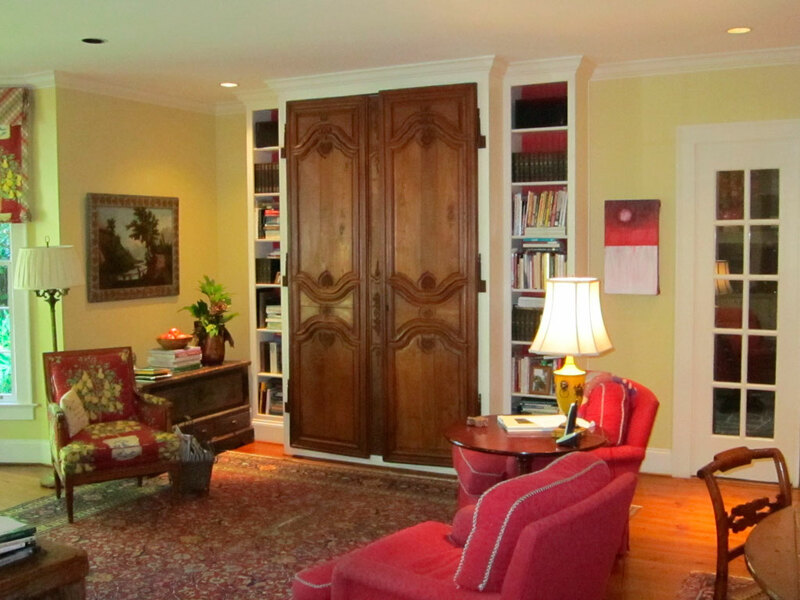 Hide the TV behind antique French Doors! These doors are mounted onto a built-in cabinet in a Kitchen/Family room. The next time you find a great door or pair of doors—buy them and use them to add Charm and interest to a functional cabinet. Add Charm to any room with antique doors. Charming use of salvaged building antiques —try one at your house.